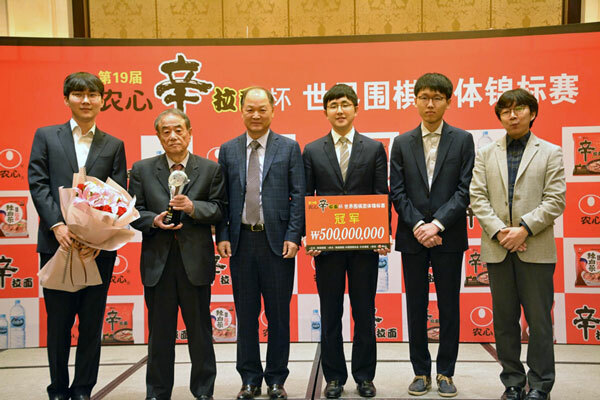 On 29th March, the second Zi Jing Cup, a tournament reserved for veteran players from China, Japan and Korea, ended with the victory of Cao Dayuan. 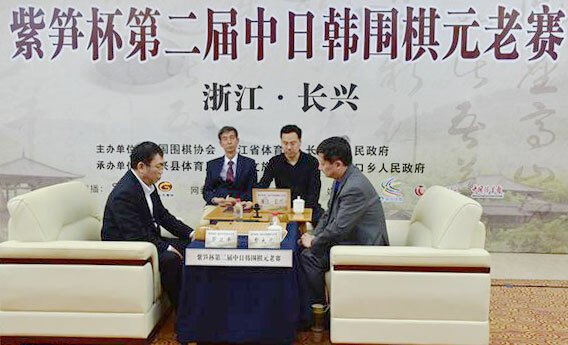 In the tournament Cao Dayun defeated Noda Yorimoto and Ma Xiaochun before winning the final against Nie Weiping. Iyama Yuta, securing a prize of 20 million Yen. It is his second victory of the championship. 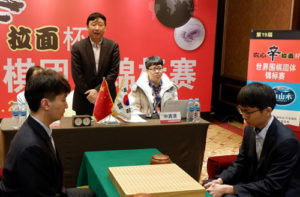 In the Senko Cup World Go Women’s Championship, Yu Zhi Ying won the title after defeating Missingham Jia-Jia on March 16. Choi Jeong defeated Fujisawa Rina in the final for the 3rd place. 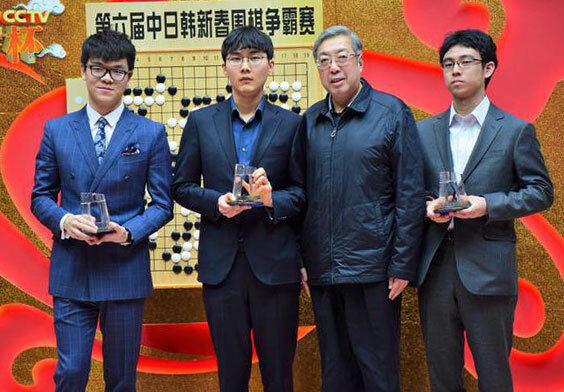 In the 13th and final match of the Nongshim Cup played in Shanghai on March 14th, Kim Jiseok defeated Ke Jie and assured Korea the victory in the prestigious team tournament . It is Korea’s first victory since 2013. Wulu: How do you feel after winning the Cup? Kim: Although this is the third time for me to play in this tournament it is the first time that my team wins and I was the last player left standing. W: How was the game? K: Just like yesterday, I made some mistakes in the mid-game, but Ke committed some mistakes too and I was able to take advantage. Though I didn’t play very well, I won the game and I am satisfied with the result. W: How do you like Ke? K: He is an excellent player but sometimes makes mistakes, like me. 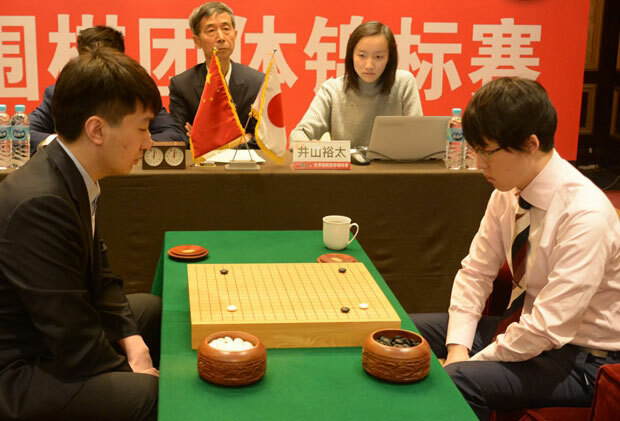 On 27th February, Dang Yifei 9P (China Team) defeated Shin Jin Seo 8P (Korea Team) in the 11th game of Nongshim Cup played in Shanghai. China and Korea have two players left. Here is the game record with commentaries by Wu Hao 2P. Tomorrow Kim Jiseok of Korea will play against Dang Yifei. 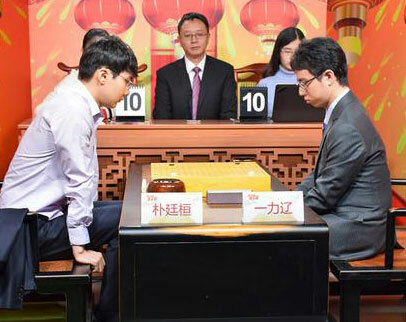 On 26th February, Dang Yifei 9P defeated Iyama Yuta 9P in the 10th game of Nongshim Cup (here is the the game record with commentaries by Wu Hao 2P). All Japanese players have been knocked out from the competition. Korea still has 3 players, Shin Jin Seo, Kim Jiseok and Park Jeong Hwan and China 2, Dang Yifei and Ke Jie. The 11th game will be played on 27th February, Shin Jin Seo VS. Dang Yifei. Park Jeong Hwan Wins the 6th CCTV Chinese Lunar New Year Cup. 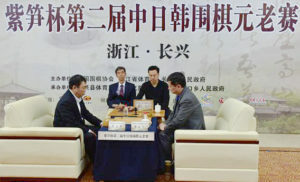 On 7th February, Park Jeong Hwan defeated Ke Jie and won the 6th CCTV Chinese Lunar New Year Cup. 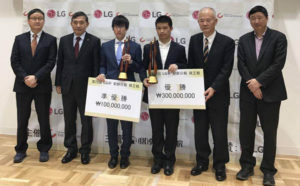 Ke Jie and Ichiriki Ryo got the second and third place. After the game, Ke expressed his regret for not having played well in the match and Park said that is was OK for him to win considering that all the previous editions of the Cup were won by Chinese players. He also wished a happy new year to all Chinese go fans. Here is the game record of the final. Xie Erhao defeats Iyama Yuta and gets the champion of LG cup. On 8th February, Xie Erhao defeats Iyama Yuta on the 3rd game of LG cup final. Therefore he gets the LG cup championship with the score of 2-1 and get promoted to 9 dan Pro. Although Iyama reversed the last game in a desperate situation, this time the goddess of fortune smiles on Xie. In this game, both players choose to start a fight in the beginning (here is the game record). In the middle of the game, Iyama Yuta makes some mistakes and this time Xie doesn’t give Iyama any chance and wins. On 7th February, the 2nd game of LG Cup final best of three finishes at the Nihon Ki-in. Iyama Yuta faces desperate situation for many times but finally he overcomes all pressure and defeats Xie Erhao by half point. The score between them is now 1-1. In this game, Xie takes big advantage after a fight on the right top corner (here is the game record). But his slacken moves let Iyama seize some opportunities and reverse the game. However, Iyama also plays some bad moves in the fight of the middle game. After an exchange, Xie takes the top left corner and builds his advantage again. But Iyama shows his determination and kills the black group at the bottom. Until the end the game is really close. But Xie seems getting nervous, he tries to kill the white group on the right side, Iyama settles it down and keeps his advantage to the end. Finally, White wins this game by half point. The decider will be played on 8th February. On 5th February, the first game of 6th CCTV Chinese Lunar New Year Cup finishes in Beijing, Park Jeng Hwan defeats Ichiriki Ryo and enters the final (here is the game record). 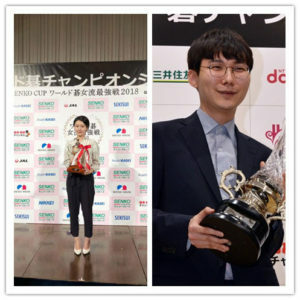 His opponent in the final will be the winner of the match that will be played on 6th February between Ke Jie and Ichiriki Ryo. LG final: Xie Erhao wins the first game in the best of three. 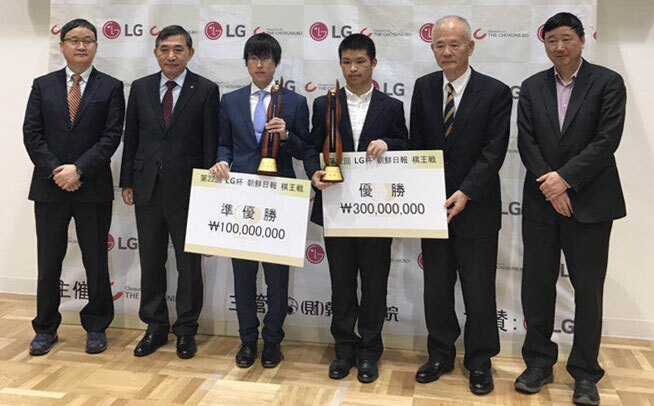 On 5th February, the first round of LG final finishes in Japan Ki-in, Xie Erhao 5P(CHN) defeats Iyama Yuta 9P(JPN) and takes the first win in the best of three. Since Cho U entered the final of Toyota Cup(World Cup) in January, 2007, Japanese professional players haven’t enter the World Cup final for 11 years. In this game, Iyama Yuta gets black stones, and he plays positive in the beginning. But Xie Erhao plays really well in the fight of the left side and takes the advantage (here is the game record of the match). Black’s 95 releases his winning hand, and Xie positively answers this fight. After a fierce fight, Xie successfully kills a group of Iyama Yuta, and black resigns. The 2nd game will be played at 8:00 (Tokyo) on 7th February.